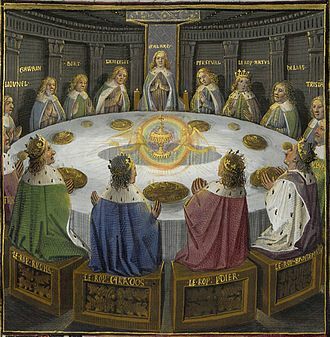 Kinghts of the Round Table – History… the interesting bits! Reading E.C. Coleman’s new adaptation of the The Book of the Holy Grail by Josephus is just not enough. This book has to be devoured in its entirety. 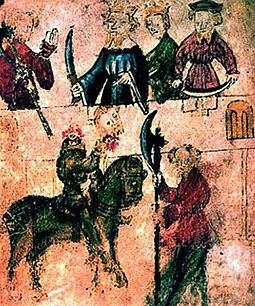 The author has taken great care in translating the story from Middle English, keeping the original atmosphere of the book while making it accessible to the modern reader. The book is pure pleasure for any lover of the Arthurian legends. All the heroes are present, battling lions, evil knights and trying always to prove their worth and follow the codes of chivalry. The story differs in places from the more-familiar versions of the legend. Merlin only plays a minor role and the story focuses mainly on the adventures of Gawain, Lancelot and Percival. Although the main tenet of the story is the knights’ quest to find the Holy Grail, they are faced with many challenges and smaller quests throughout their journeys. In The Book of the Holy Grail by Josephus our heroes face some fantastical beasts, such as lions, griffons and dragons. The bad guys are knights of pure evil, who have turned from God and war upon the innocent and women and children, throwing them from their homes and castles. The evil knights live in creepy castles, ruled by cruel men and protected by strange beasts; while the good, virtuous knights are sent out into the world by King Arthur, to bring his lands back to God and to recover the Holy Grail. The story moves at an incredible pace, with a new adventure on nearly every page. The heroes are strong, brave and wonderful fighters, always looking to prove their worth in a valiant joust. Strange damsels hold the story together, explaining events and appearing whenever the heroes need a new direction, or a new quest. The story is full of kings and lords with strange names; such as the King of Castle Mortal, the King Hermit, Clamados of the Forest of Shadows. The ladies are often given designations, rather than names, such as the Widow Lady. There are damsels who have no hair or are forced to walk everywhere, who will only be restored once the Holy Grail has been recovered. ‘Gladly,’ sayeth the hermit and heard him of Gawain’s true repenting. The flowery language adds to the atmosphere of the book and helps to recreate the Arthurian world. Gawain, Lancelot and Percival are the knights of legend we all know from Mallory; honourable, noble and great warriors. I love the way the book has them fighting their own quests, narrowly missing each other, or one not recognising the other because he has changed his shield; but once in a while, they join together to complete a greater quest, or give aid where one is wounded. 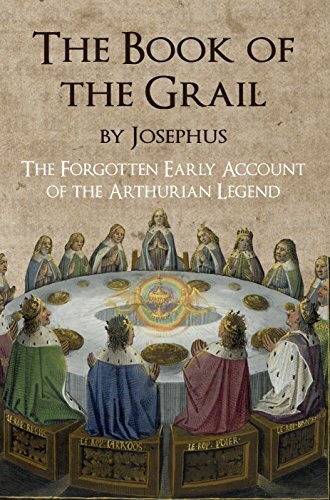 The camaraderie and mutual respect of the Grail Knights and the Knights of the Round Table help to make this an amazing book. This is the ultimate adventure story, from where all other adventure stories, stories of war and valour and of good versus evil find their origins; and this fact shines through on every page. Its a fabulous book to read – and devour – for any fan of the Arthurian Legends.